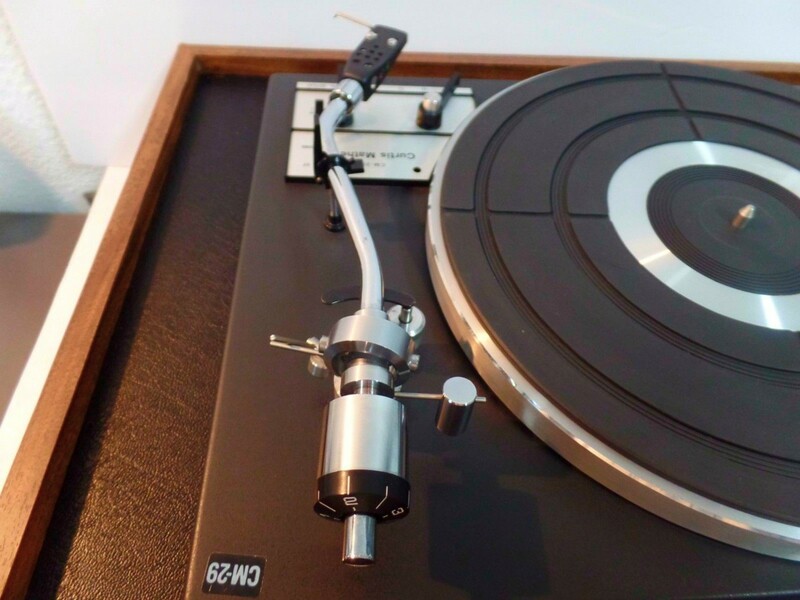 The Curtis Mathes Turntable CM-29 was a New Beginning for the Company. She was made from made in Japan components and based on a completely new design. The Curtis Mathes Turntable CM-29 was a collaboration design between the Curtis Mathes turntable designers in Texas and the Japanese manufactures of the Marantz 6200. I remember when this turntable was on the project design board at Curtis Mathes. 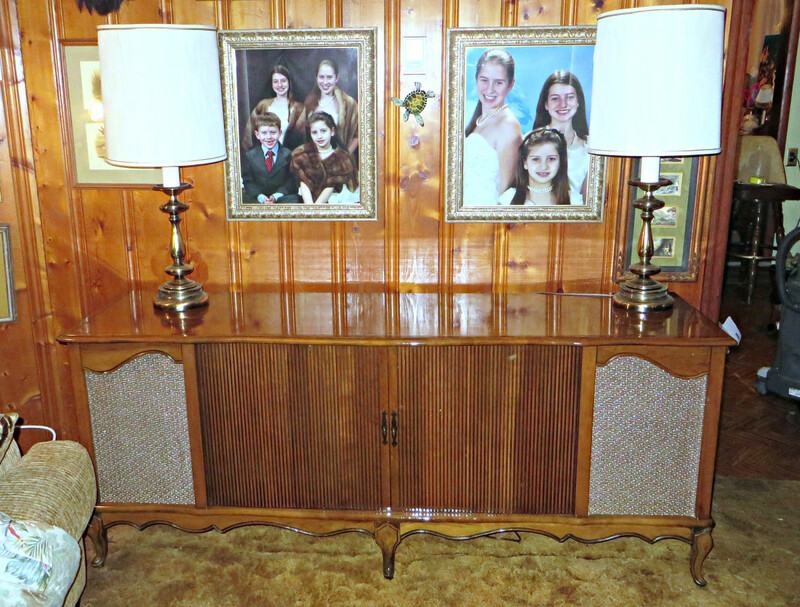 She was to smoothly work with all the other Curtis Mathes stereo components that were becoming popularly with the more affluent young professionals at that time. What we would call today the hipsters, and the trendsetters. The tinted acrylic cover not only protects the unit from dust, but is durable and lovely to look at. It has a pewter finish to blend in perfectly with the chrome pieces of the turntable. 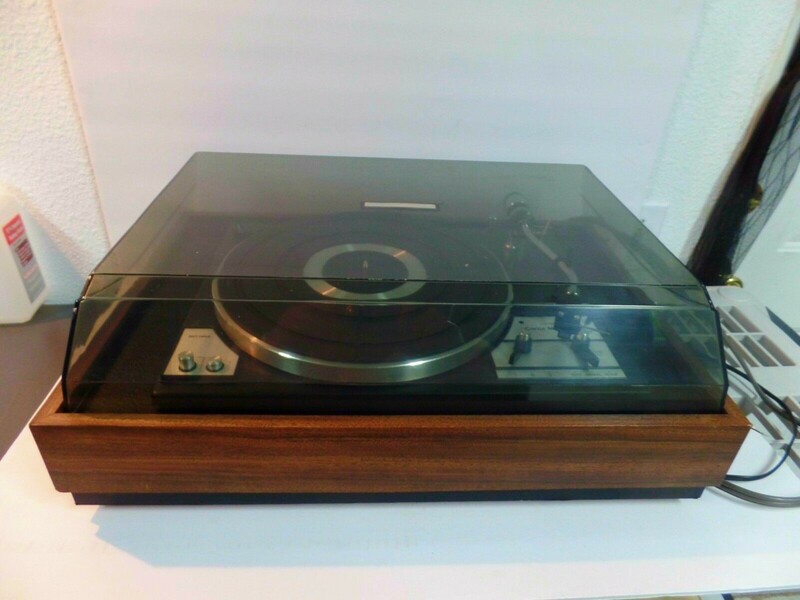 The CM 29 turntable was a break away design in its self contain cabinet, and could be attached to almost all sound systems in the fleet of Curtis Mathes stereos, and receivers. She had the best of the industry technology installed in her design, and she was a top seller in all the Curtis Mathes Showrooms. 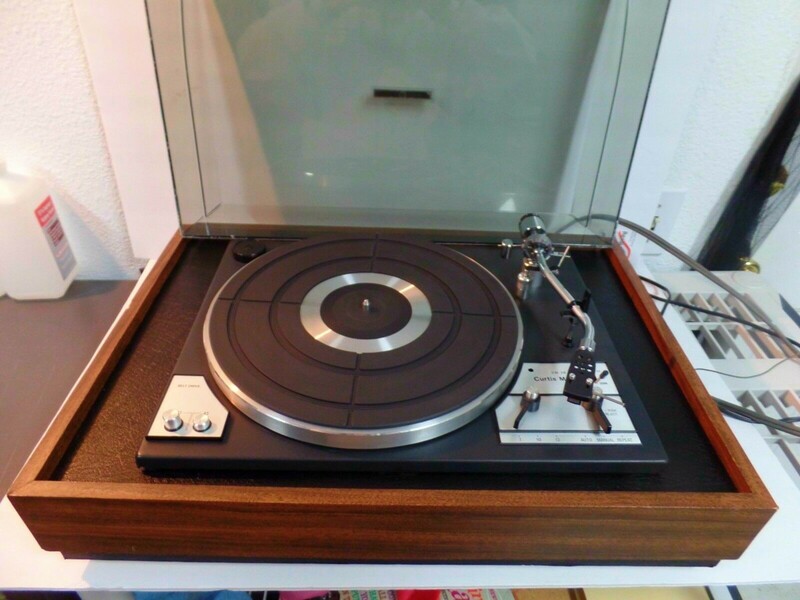 This model came with a four years warranty, and this included all the parts of the turntable, including the stylus, and diamond needle. The design team at Curtis Mathes spared no expense in making this a flawless, and made to last turntable, with all the latest features she was a real eye catcher in her day, and even today. Much of the expense was in the tow-arm, and the state of the art stylus, and tracking. 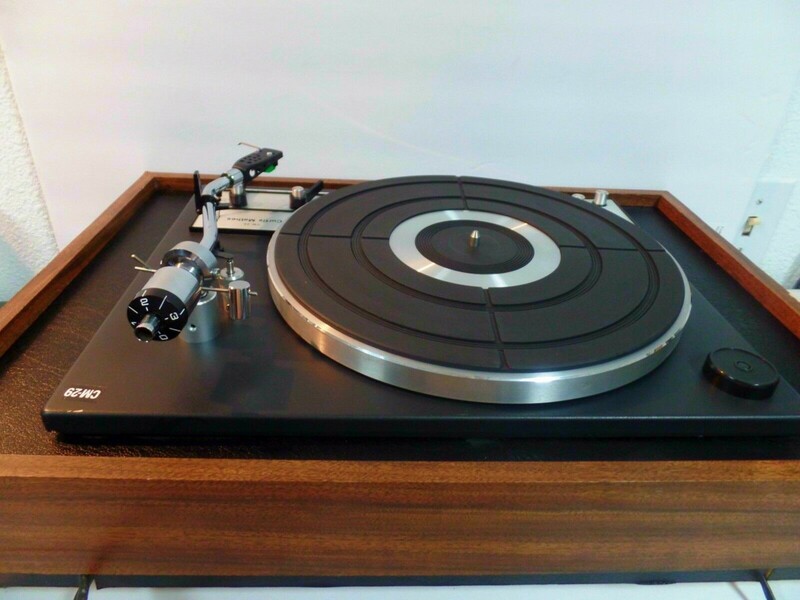 The hand rubbed wood base houses the chrome polished pieces of this masterfully designed turntable. 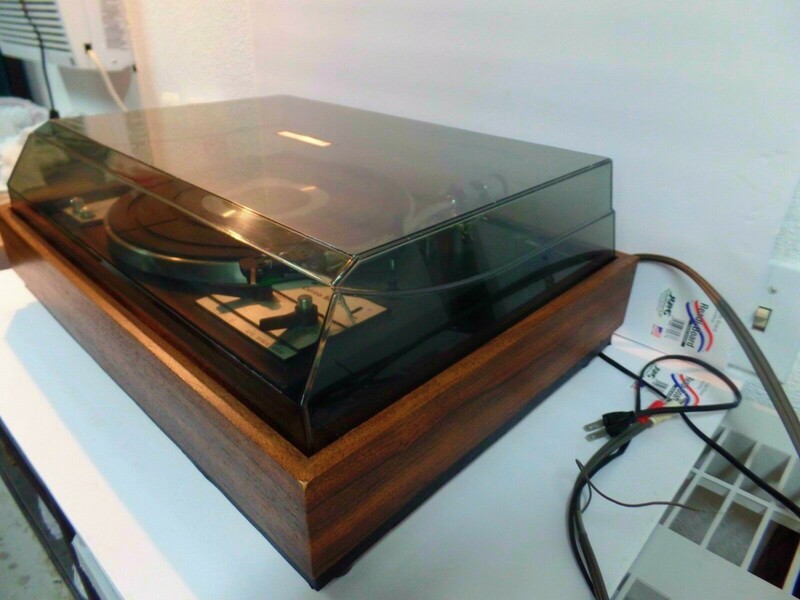 The tinted acrylic cover not only protects the unit from dust, but gives lasting beauty to this timeless turntable. 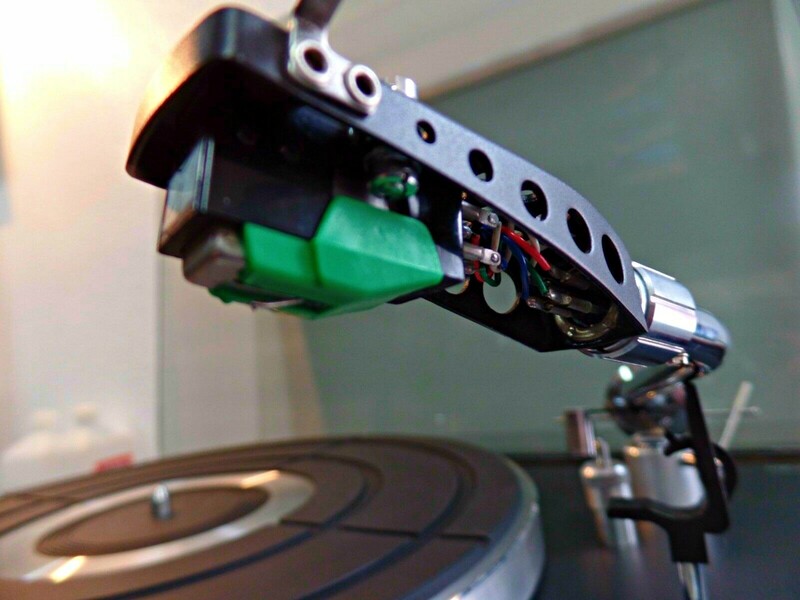 The CM-29 diamond stylus tip is the only part of the cartridge that makes direct contact with the LP record. As the remarkable designed stylus traces the movements of the record grooves, it creates countless vibrates that the cantilever receives. The Curtis Mathes turntable Model CM-29 was one of the first to features a amazing two-speed AC servo motorized belt driving system; this with the Curtis Mathes state of the art strobe referenced electronic controlled speed tuning made this a very accurate sound producing machine. The CM state of the art precision tone arm has built in to its design a calibrated tracking force, with amazing anti-skating adjustment. The state of the art hydraulically damped cueing in the Curtis Mathes CM-29 turntable is astounding, when you add to the fact that she has automatic return and repeat functions, and built into her chassis are low capacitance cables that are suitable for use with almost any CD-4 stereo cartridges. The well designed rubber mat on the CM-29 platter has been impregnated with long lasting, and safe for the LP's anti-static compounds to prevent any static electricity from building up. This helps prevent dirt particles from being attracted to the vinyl record surface that is being played. In the CM-29 you have the latest in Curtis Mathes CD-4 technology. This new turntable design was responsible for major improvements in Curtis Mathes stereo and phonograph technology. These can be seen in the finished product of the amazing CM-29 turntable, her improvements included higher compliance, coupled with lower distortion levels, and a much wider and deeper frequency range. , and new vinyl compounds for records. For almost forty years Curtis Mathes worked on perfecting their turntables. 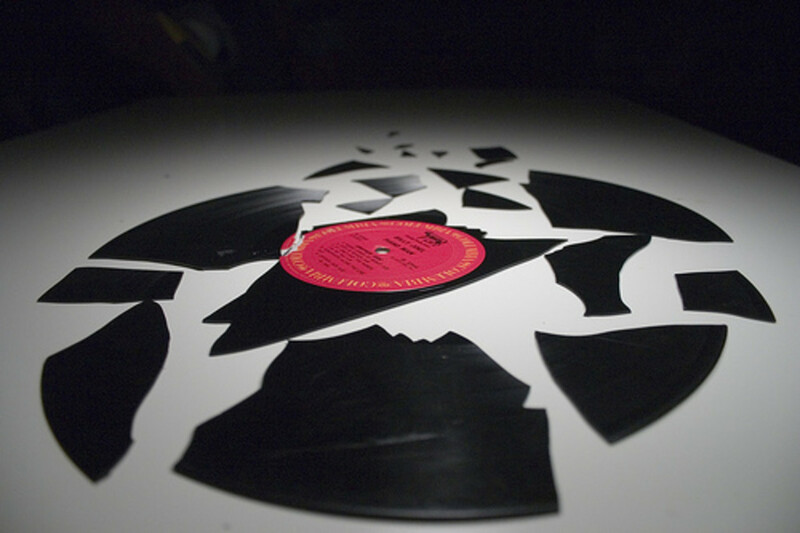 They knew the basic facts that the cartridge work by dragging a tiny diamond into the ditch like groove that went the entire length of the vinyl record. The cartridge's job is to convert the resulting vibrational sent up by the diamonds energy into soulful soothing, and intoxicating analog sound. 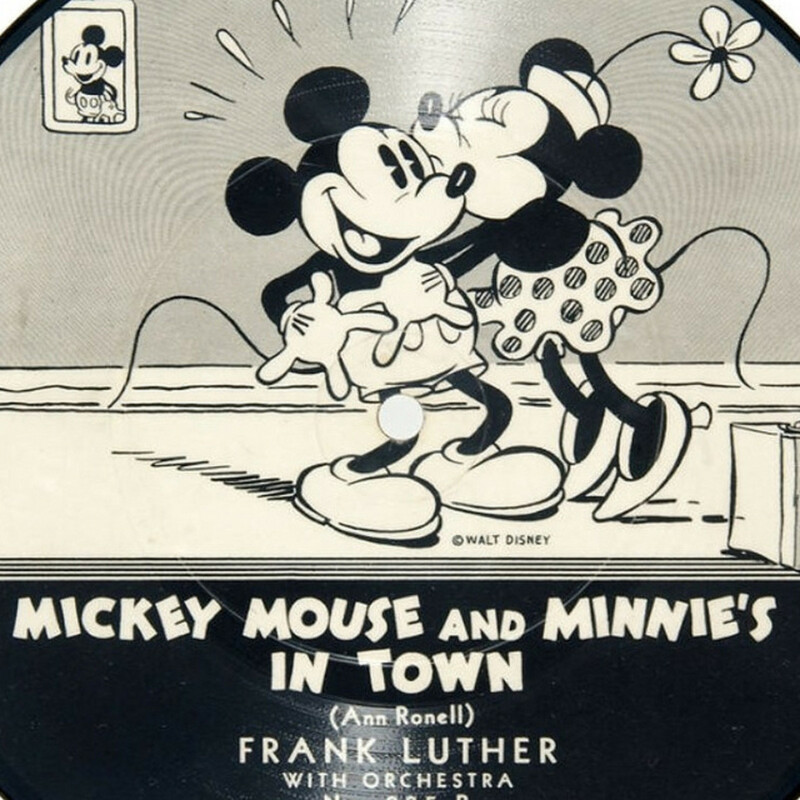 The technicians at the Mathes Laboratories knew there is a large amount of delicate musical notes and spectrum information encoded into each record. There goal in the turntable is to get as much of that magical sound out of the LP record. The CM-29 is the end results of forty years of improving the quality of their cartridges, and their platters. They even realized that even the tow arm has a big impact on sound quality. The well designed rubber mat on the CM-29 platter has been impregnated with long lasting and safe for the LP's anti-static compounds to prevent any static electricity from building up. 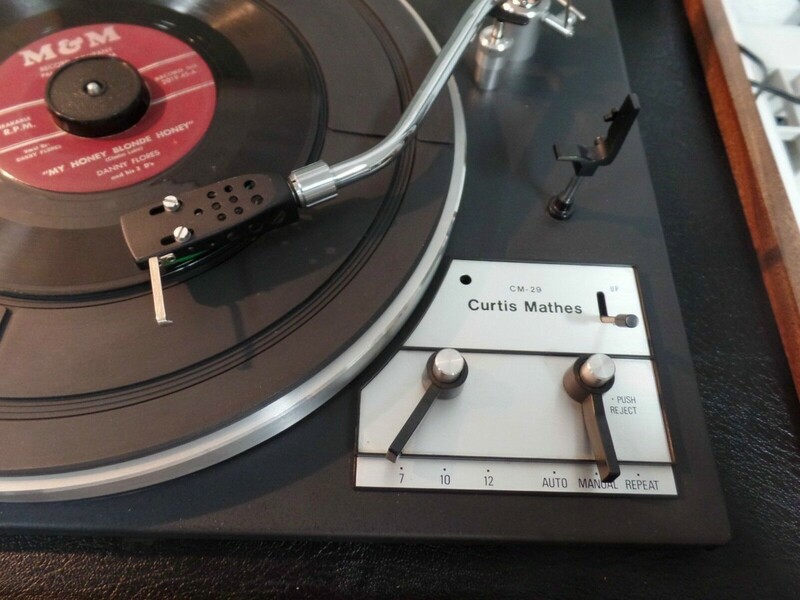 The old Curtis Mathes moto was whatever you can do we can do better, this moto holds true in the CM-29 turntable. 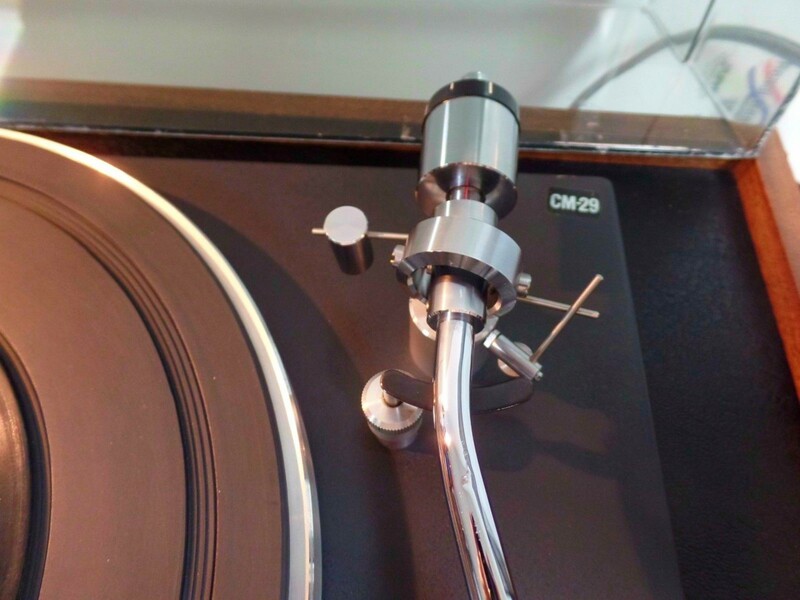 The research and development lab at Curtis Mathes way back in the 1970s knew that the shape of the stylus will have a dramatic affects on how well the contact with the record groove will be. They knew that the narrower the contact radius on the diamond was made, the better the stylus will be able to track all the countless delicate modulations made in the groove as the diamond moves down its path. This is very apparent in their excellent choice of stylus and diamond needles in the CM-29 turntable. After countless years of research Curtis Mathes realized that even the tow arm has a big impact on sound quality. Only the best materials were used in the CM-29 tow-arm. Three record setting for the platter, seven inch, ten inch, and 12 inch settings. 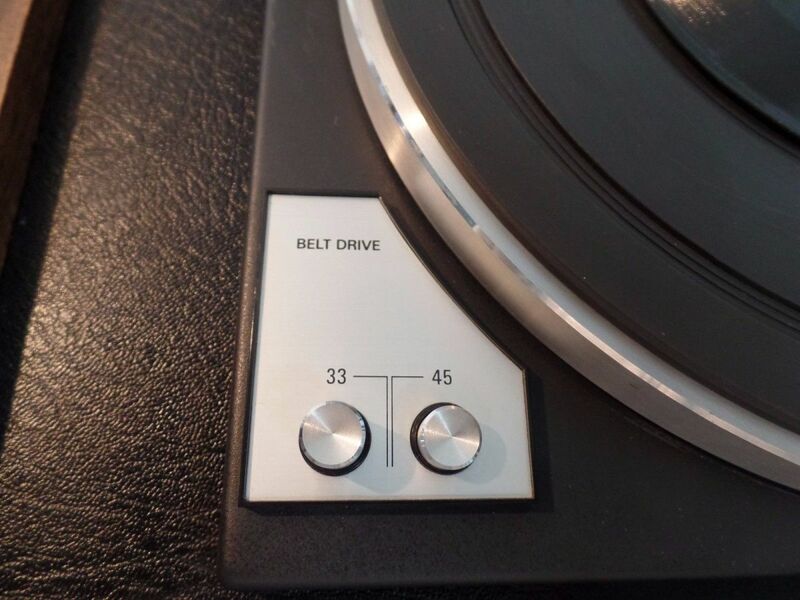 The turntable also has auto, manual and repeat features. 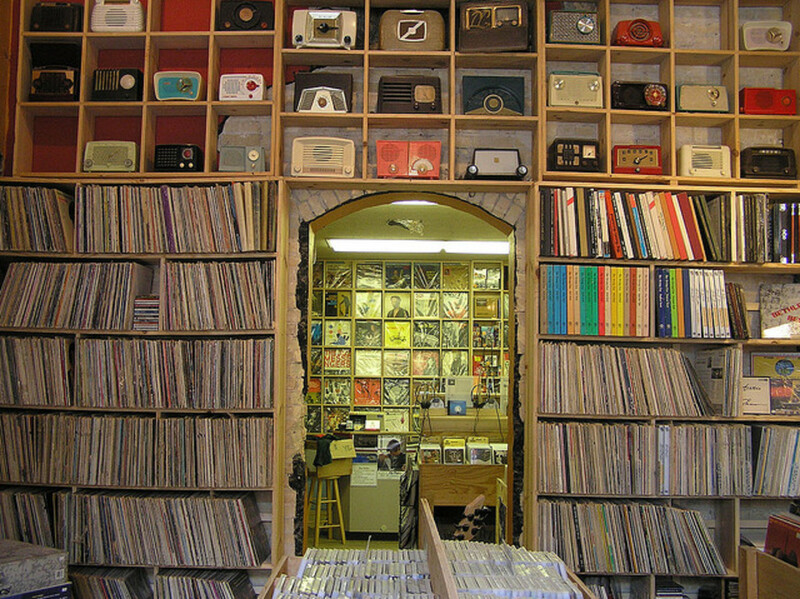 The repeat feature allows the owner to continually pay a record for as long as her or she likes. There are two belt speeds for the Curtis Mathes CM-29 turntable, 33 speed and 45 speed. These are flawless in that they keep perfect speed effortlessly. From what ever angle you look at her, the Curtis Mathes CM-29 is an amazing work of engineering art.